New. 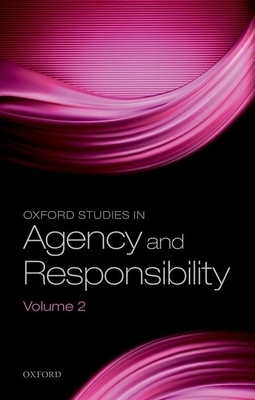 256 p. Oxford Studies In Agency And Responsibility . Intended for college/higher education audience. Intended for professional and scholarly audience. NEW. 9780198722120 This listing is a new book, a title currently in-print which we order directly and immediately from the publisher. For all enquiries, please contact Herb Tandree Philosophy Books directly-customer service is our primary goal. New. 256 p. Oxford Studies In Agency And Responsibility . Intended for professional and scholarly audience. Intended for college/higher education audience. New. 256 p. Oxford Studies In Agency And Responsibility . Intended for college/higher education audience. Intended for professional and scholarly audience. In Stock. 100% Money Back Guarantee. Brand New, Perfect Condition, allow 4-14 business days for standard shipping. To Alaska, Hawaii, U.S. protectorate, P.O. box, and APO/FPO addresses allow 4-28 business days for Standard shipping. No expedited shipping. All orders placed with expedited shipping will be cancelled. Over 3, 000, 000 happy customers.